Four pieces of our juicy, boneless, whole-breast select tenderloin filets, seasoned to perfection and served up hot and fresh with a made-from-scratch buttermilk biscuit, served with fries & a drink. 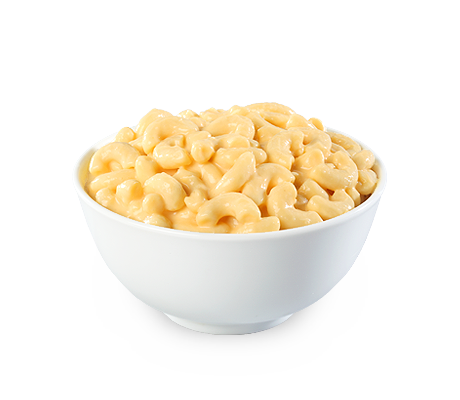 Elbow macaroni. 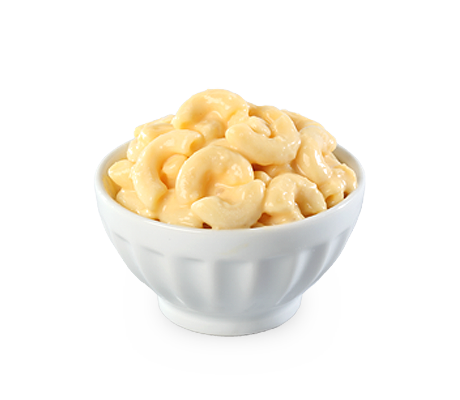 Creamy cheese. Scoop, eat and repeat until you’re stuffed, smiling and seriously considering a move to Wisconsin. 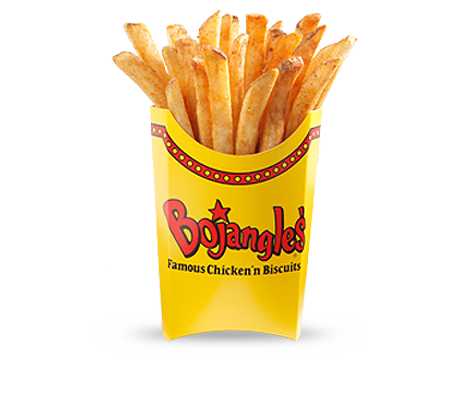 Our fries are generously sprinkled with Bojangles’ special blend of seasonings and served piping hot. 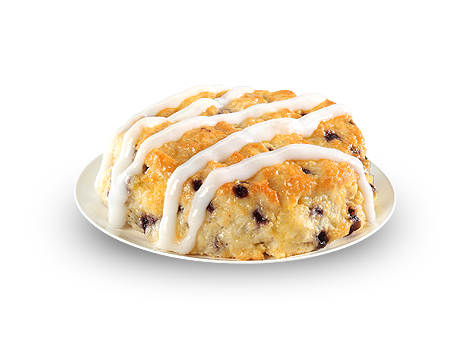 A sweeter, dessert version of our famous biscuits, featuring our famous Bo-Berries baked right in and sweet icing drizzled on top. 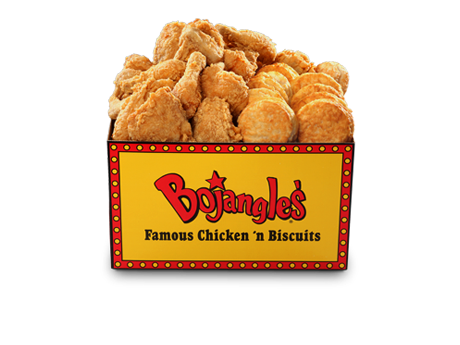 A southern take on Idaho’s most famous export, covered with Bojangles’ gravy. 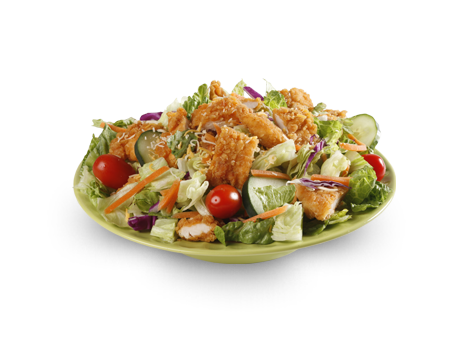 Close your eyes and picture the perfect salad. 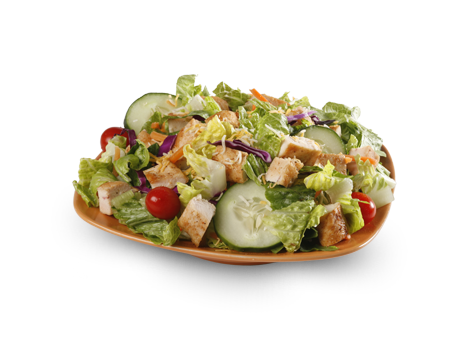 Does it have a tender, grilled chicken breast on top of a bed of romaine and iceberg lettuce, red cabbage, grated carrots, sliced cucumber, grape tomatoes and shredded cheddar and Monterey Jack cheese blend? We knew it. Four pieces of our mild, boneless, whole-breast select tenderloin filets, served up hot and fresh with a made-from-scratch buttermilk biscuit, served with fries & a drink. Our sausage is very good. Our eggs are good. 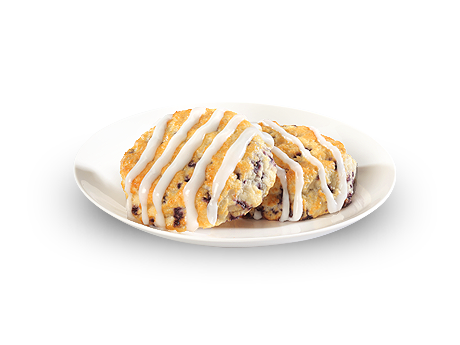 Biscuits are good. But all together, they’re great. 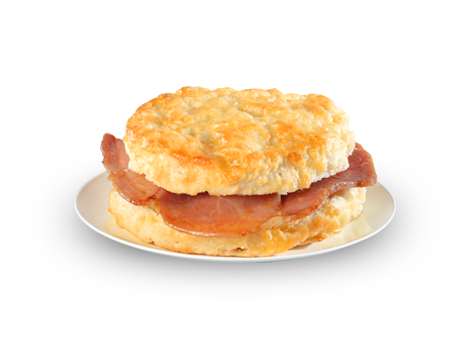 There’s a reason you’ve never heard of “city ham.” Our Country Ham Biscuit is cured, cooked and created with care. 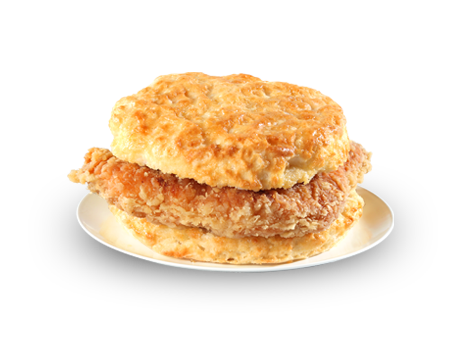 Served on a buttermilk biscuit made by hand. 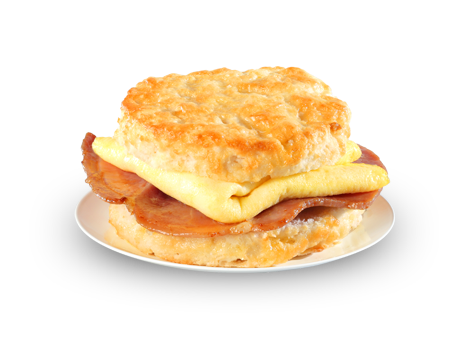 There’s a reason you’ve never heard of “city ham.” Our Country Ham & Egg Biscuit is cured, cooked and created with care. Served on a made-from-scratch buttermilk biscuit. 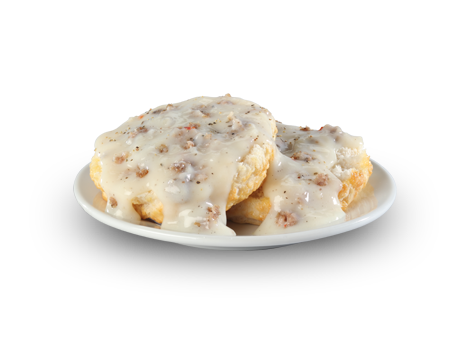 What’s better than a hot, open-faced, made-from-scratch buttermilk biscuit topped with delicious, savory gravy? 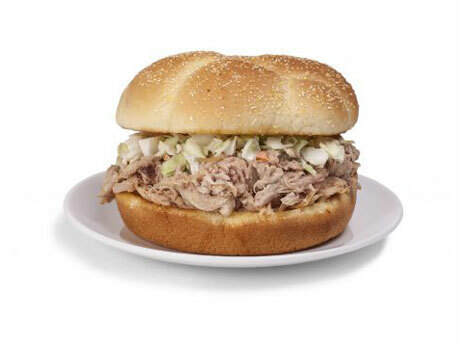 You can’t go wrong with this Southern staple. Who says you can’t have steak for breakfast? Around here, we give our steak the treatment it deserves: country-frying. And when you place that between a made-from-scratch buttermilk biscuit, breakfast is served. Smoky barbecue. Sweet’n Smoky sauce. Soft, freshly baked buns. The Cajun Filet Sandwich is our classic Cajun Filet, but with a twist. 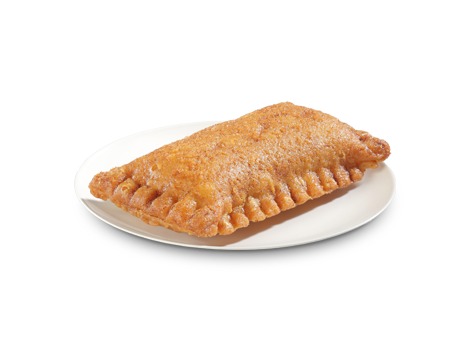 It stars a perfectly seasoned, beautifully breaded Cajun Filet, crispy lettuce, juicy tomato, American cheese, and creamy mayo. And did we mention that it’s all served on a toasted buttered bun? It didn’t take long for our Cajun Filet Club Sandwich to become the hottest club in town. With a perfectly breaded and seasoned breast filet, crispy lettuce, juicy tomato, American cheese, creamy mayo and, of course, hardwood-smoked bacon, our club is the one you’ll want to get into. 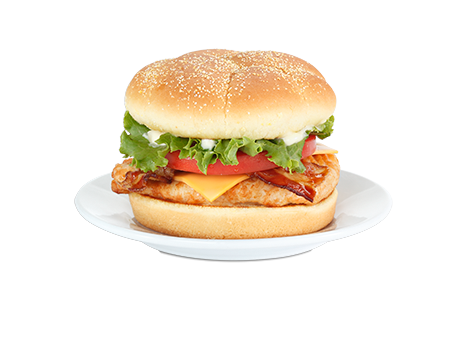 With a tender chicken breast grilled to perfection, hardwood-smoked bacon, crisp lettuce, juicy tomato, sharp American cheese and creamy mayo, this club is one you’ll want to join. Roasted chicken bites, dirty rice, cajun pintos, cheese & biscuit. Gardens are great. They’re where we get all of our tender greens and ripe vegetables. But to top this one off, we had to make a stop by the coup for the juiciest, tastiest chickens around. 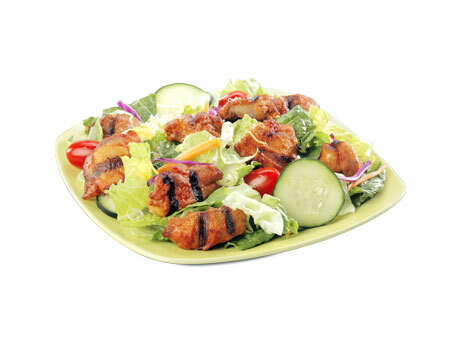 Tender, juicy bites of oven-roasted chicken perched atop leafy greens and fresh veggies. 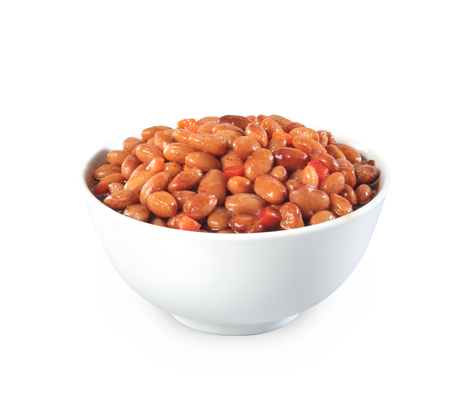 It’s the perfect meal for vegetarians or carnivores who are open to giving the other side a try. 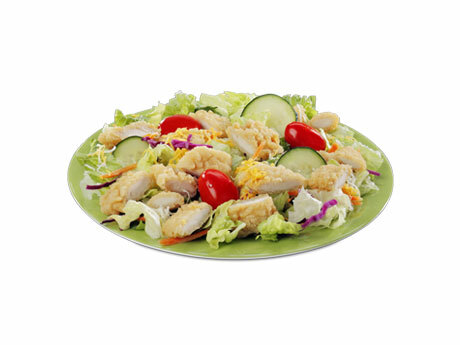 We believe that every salad deserves to be topped off with our perfectly seasoned Chicken Supremes. Served on a bed of romaine and iceberg lettuce, red cabbage, grated carrots, sliced cucumber, grape tomatoes and Monterey Cheddar cheese, this salad is Supreme. Seasoned, zesty sausage on made-from-scratch buttermilk biscuits, served with Bo-tatos & a drink. 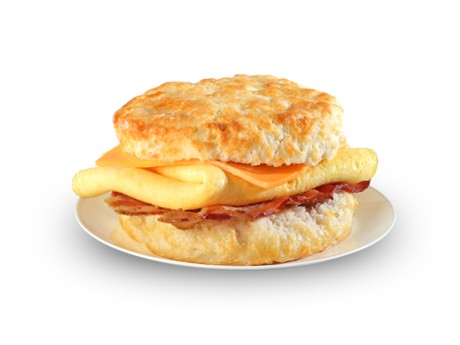 Hardwood-smoked bacon with a light, folded egg and sharp American cheese on a made-from-scratch buttermilk biscuit. 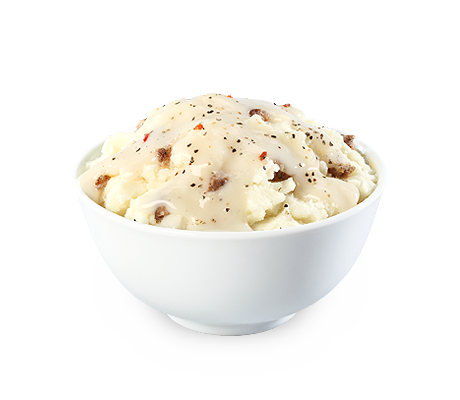 Served with Bo-tato Rounds & a drink. Traditionally cured, grilled country ham with a light, folded egg on a made-from-scratch buttermilk biscuit, served with Bo-tato Rounds & a drink. Gravy on a made-from-scratch buttermilk biscuit, served with Bo-tato Rounds & a drink. 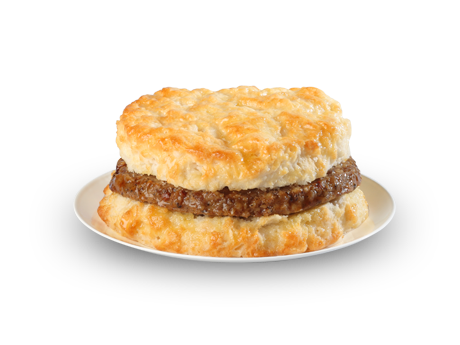 Seasoned, zesty sausage with a light, folded egg on a made-from-scratch buttermilk biscuit, served with Bo-tato Rounds & a drink. 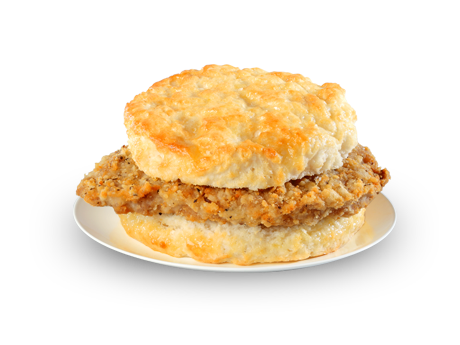 Mouthwatering country-fried steak on a made-from-scratch buttermilk biscuit, served with Bo-tato Rounds & a drink. 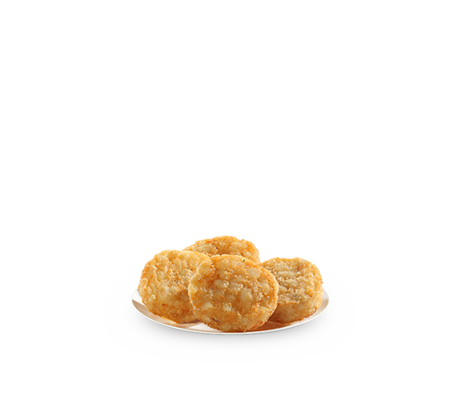 A seasoned breast filet on a made-from-scratch buttermilk biscuit, served with Bo-tato Rounds & a drink. 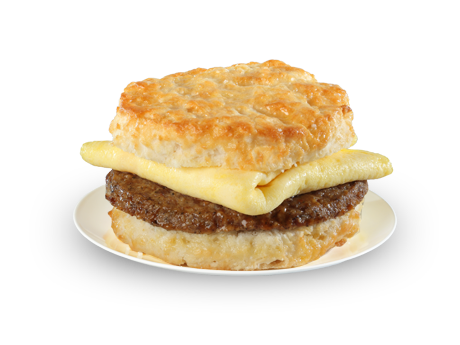 Seasoned, zesty sausage on a made-from-scratch buttermilk biscuit, served with Bo-tato Rounds & a drink. 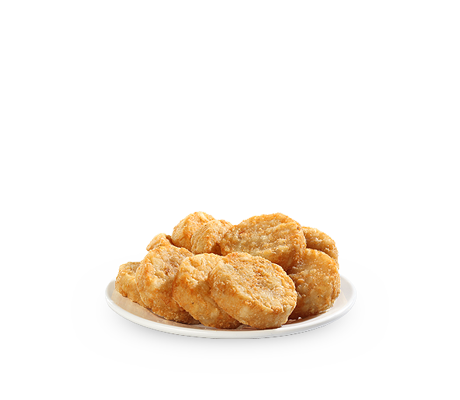 Marinated, boneless, oven-roasted chicken bites seasoned to perfection and served with a made-from-scratch buttermilk biscuit, served with fries & a drink. A seasoned breast filet with hardwood-smoked bacon, sharp American cheese, crisp lettuce, juicy tomato and mayonnaise on a toasted bun, served with fries & a drink. 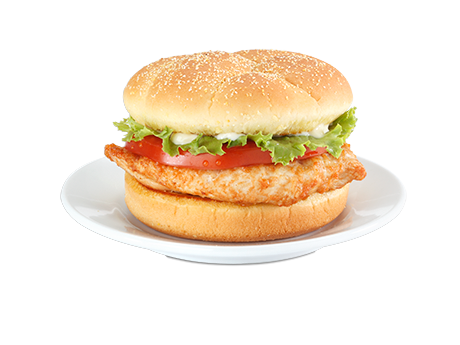 A seasoned breast filet served with crisp lettuce, juicy tomato and mayonnaise on a toasted bun, served with fries & a drink. 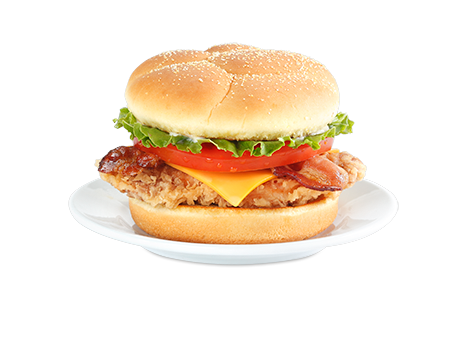 Tender, juicy breast meat grilled to perfection, with hardwood-smoked bacon, sharp American cheese, crisp lettuce, juicy tomato and mayonnaise on a toasted bun, served with fries & a drink. 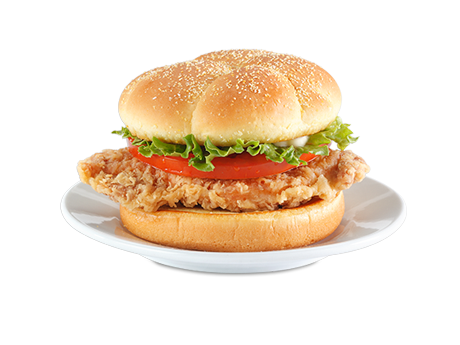 Tender, juicy breast meat grilled to perfection, with crisp lettuce, juicy tomato and mayonnaise on a toasted bun, served with fries & a drink. 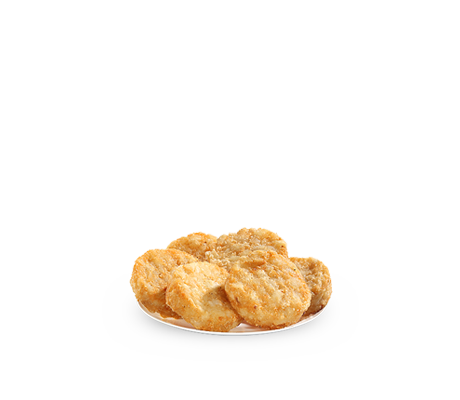 Twenty, that’s right… twenty pieces of our perfectly seasoned chicken packed alongside ten of our made-from-scratch biscuits. Eight pieces of perfectly seasoned chicken. Four made-from-scratch buttermilk biscuits. 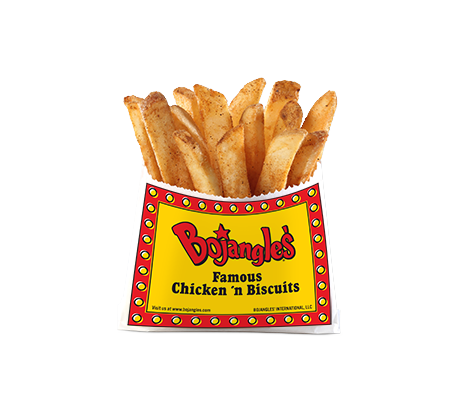 One chicken breast, perfectly seasoned and prepared as only Bojangles’ can, plus one home-style fixin’ equals one perfect meal. When you don’t plan, people say you got by on “a wing and a prayer.” When you do plan, you get by on a wing and a breast. And a home-style fixin’. When you don’t plan, people say you got by on “a wing and a prayer.” When you do plan, you get by on a wing and a breast. And two home-style fixin'. 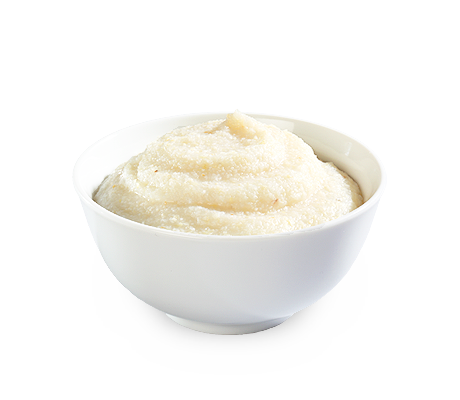 One perfectly seasoned leg, one perfectly seasoned thigh and one home-style fixin’ make this a perfectly seasoned dinner that you won’t soon forget. 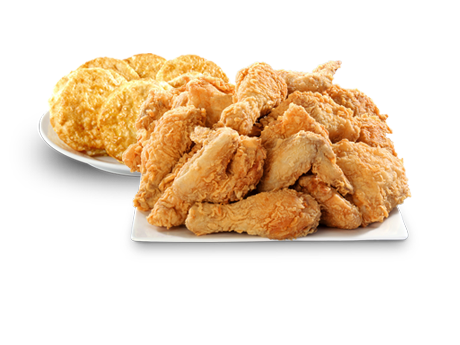 8pc chicken, 4 biscuits, 2 picknic fixins and a half gallon of iced tea. 12pc chicken, 6 biscuits, 3 picnic fixins, half gallon of iced tea. 20pc chicken, 10 biscuits, 4 picnic fixins and 1 gallon of iced tea. 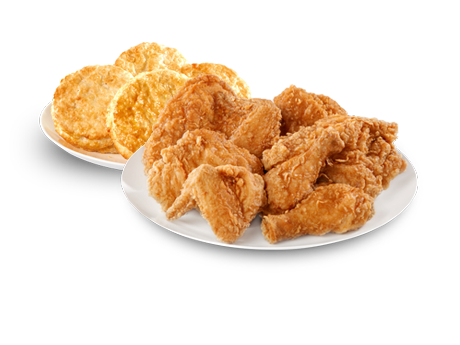 8pc chicken, 12 Supremes OR 12 Homestyle Tenders, 8 biscuits, 3 picnic fixins, and a half gallon of iced tea. 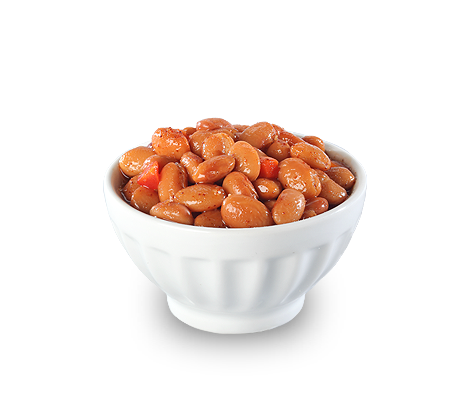 Our pintos are top-notch all the way. 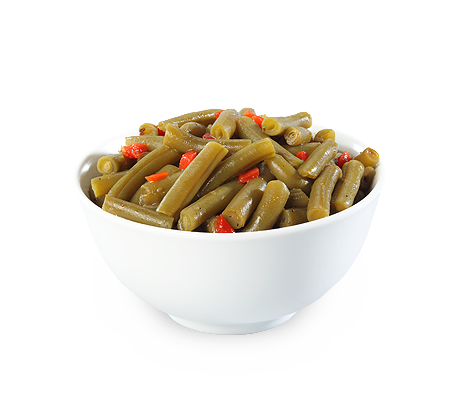 They’re slow-cooked with a flavorful blend of Cajun spices until they’re soft, savory and served with love. 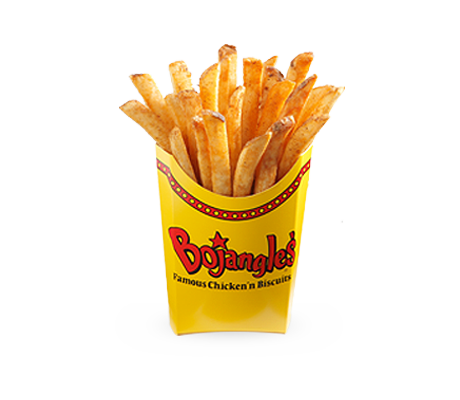 Creamy, crunchy coleslaw made with freshly chopped cabbage and carrots blended with Bojangles’ own delicious dressing made in our restaurants everyday. 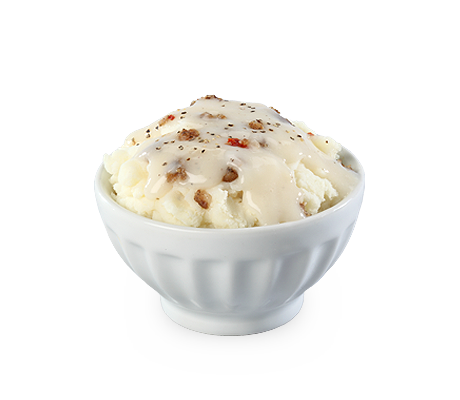 It’s a great pairing with our perfectly seasoned chicken, or anything for that matter. 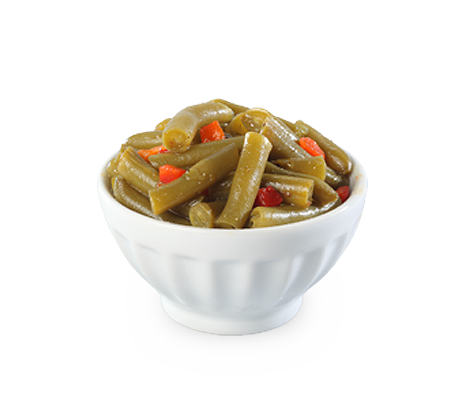 These tender strips of special-cut green beans cooked with Bojangles’ seasoning are the perfect complement to your favorite meal. Sweet potatoes are vegetables, right? So, technically, you’re just eating your veggies when you bite into this piping hot, pastry-covered delight stuffed with creamy sweet potato and topped with sweet cinnamon butterspread.